G.A.P.S. (Games, Activities, Practices & Skills)® draws from elements of research into effective teaching and learning to produce a personalized, games-based process (‘making sense of games’) empowering teachers & coaches to support participants to make decisions. It promotes a process focused on selecting and continuously adapting appropriate content based on learners’ needs, using effective 2-way dialogue to facilitate player learning and development in games play. With Games as the starting points, content may be directed to related supporting Activities, and to specific Practices to develop understanding and competencies; where identified technique needs to be developed, focused Skills exercises can be implemented. Each G.A.P.S. (Games, Activities, Practices, Skills) title provides teachers and coaches with a minimum of 250 G.A.P.S. in animated format. They are effective planning and delivery tools for teachers and coaches that can be used for directed learning via a projector or interactive whiteboard prior to forming the core of practical lessons and sessions. Perfect for Level 1 & 2 coaches and PE teachers. The original and unsurpassed software for animated Australian Football Games, Activities, Practices & Skills. One easy to use software program (Windows & Mac), suitable for all ages and abilities. Our aim is to deliver Cricket coaching software that will help players, coaches and teachers of all ages and abilities become the best they can be. 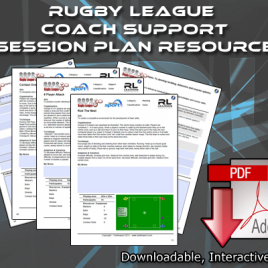 Currently used World-wide by coaches at all levels of the game for planning and delivering really effective coaching sessions (Product outstanding… Gregory H., Australia). Perfect for UKCC Level 1 & 2 coaches and teachers. The original and unsurpassed software for animated Games, Activities, Practices & Skills for Cricket Coaching. 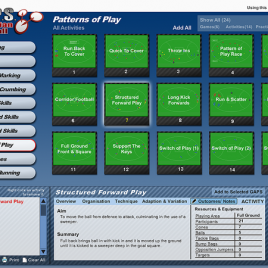 One easy to use football/soccer training resource, suitable for all ages and abilities. Perfect for FA Level 1 & 2 coaches and PE teachers. The original and unsurpassed software for animated Netball Games, Activities, Practices & Skills. 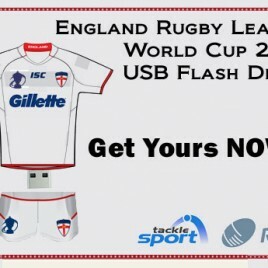 The original and unsurpassed software for animated Rugby Union Games, Activities, Practices & Skills. This upgrade applies to Users who have previously purchased Animated Skill Drills for Sports Coaching and wish to access the new G.A.P.S. software. 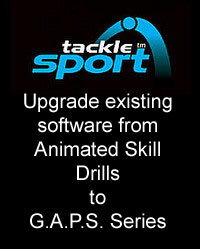 In 2011 Tacklesport took the step of updating the extremely successful Animated Skill Drills series to bring the software up to a more acceptable format for modern PC’s, as well as introducing Tacklesport’s unique and significant contribution to ‘games based’ teaching and coaching. Entitled G.A.P.S. (Games, Activities, Practices, Skills) this Tacklesport model has been adopted worldwide and is changing the face of coaching.